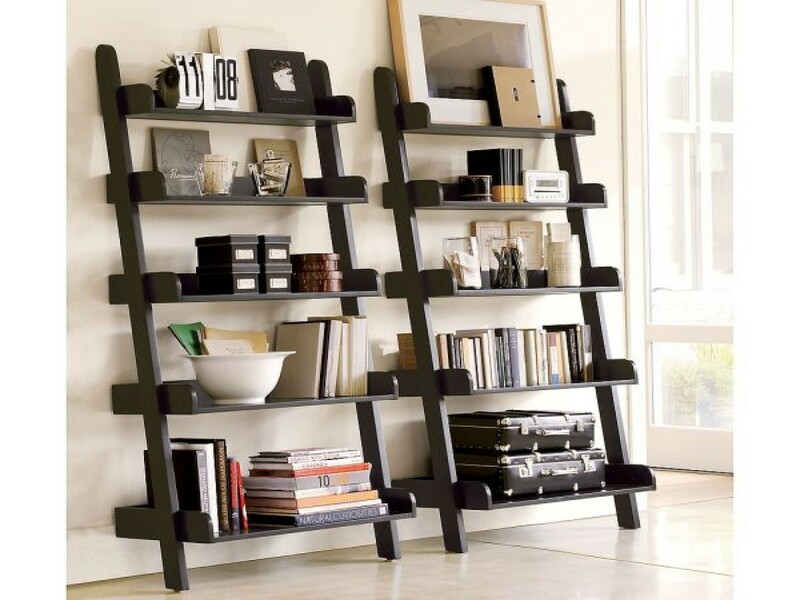 More space for storing and organizing books collection is smart idea. 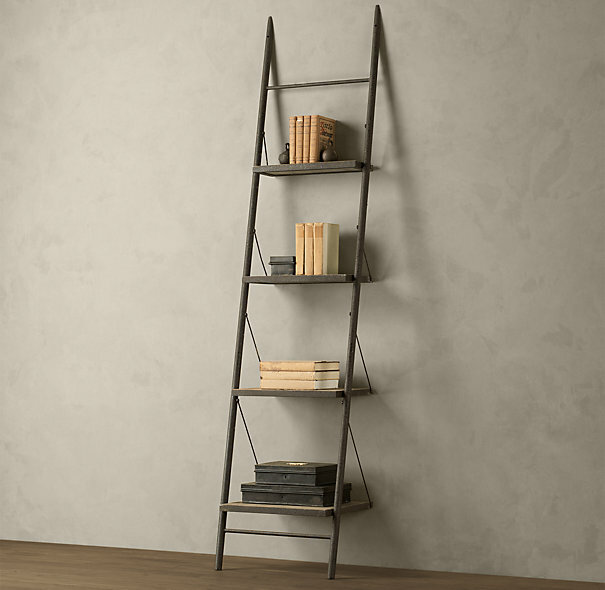 Whether you love scientific books, novels, thriller books, or other books, a leaning ladder bookcase is always be a smart solution. 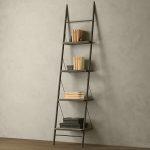 This bookcase offers unique concept of book storage system that fits any home decor styles (from traditional to contemporary decor style). 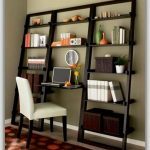 The bookcase is sweet to be placed in any rooms (bedrooms, home offices, living rooms, kids’ rooms, reading nooks, and family rooms). 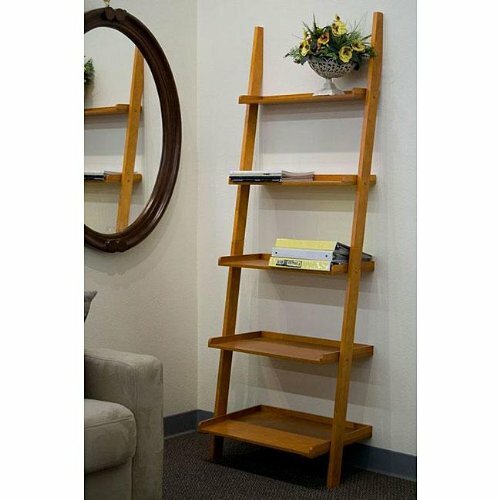 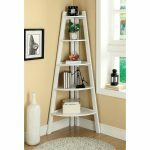 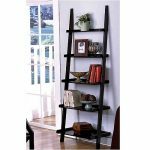 Leaning ladder bookcase has many selections of design, style, finish/ color, and number of shelf. 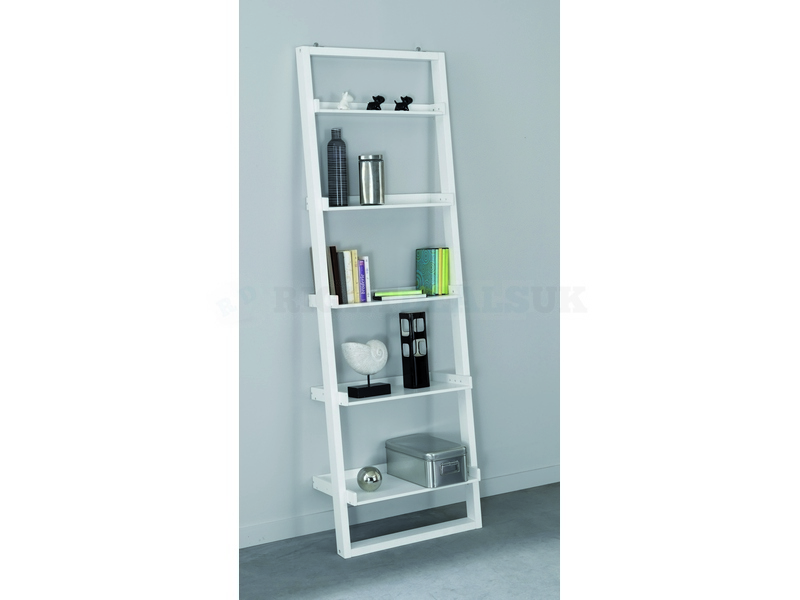 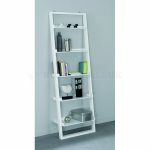 Based on design, leaning ladder bookcase is designed into narrow and large leaning ladder bookcase. 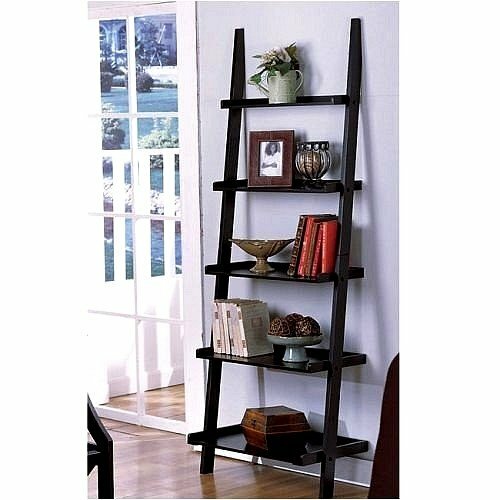 Black, lighter brown and deep brown are three common stain options covering the leaning wood ladder bookcase. 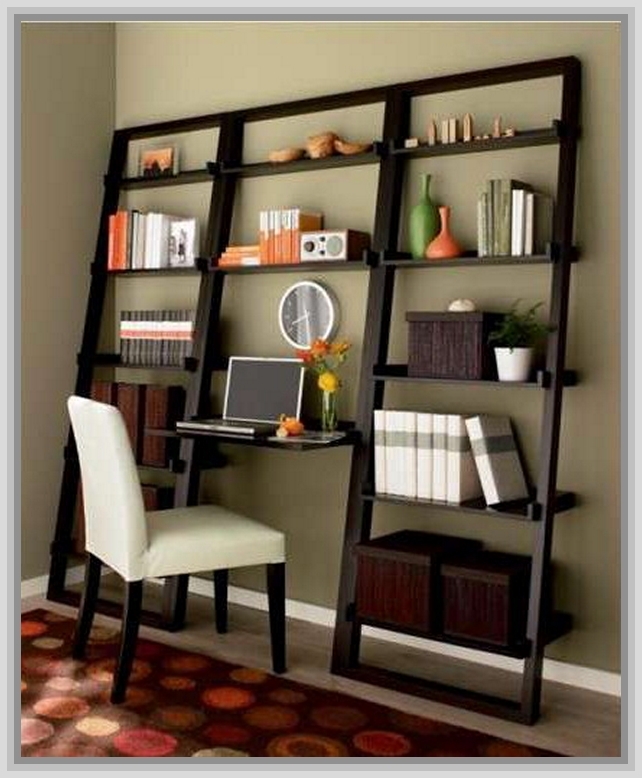 It’s optional if you want to re-coat your bookcase with other stain color schemes. 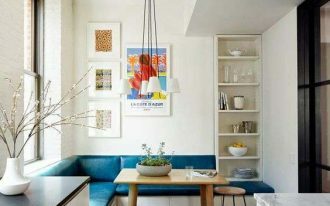 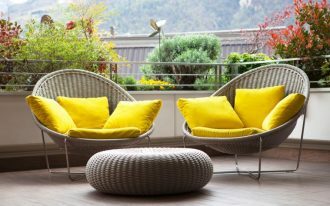 Be sure that the color is matched with your room decor or room theme. 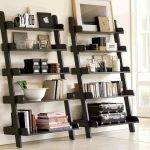 The number of shelf is also important to consider because it shows space availability you have to store your book collections. 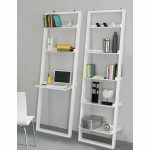 Three or even more than five shelves are available in market today. 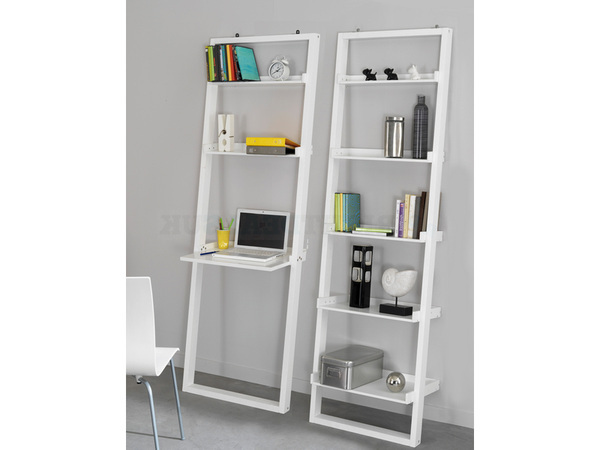 Like its name, leaning ladder bookcase is placed in lean-position against the wall system. 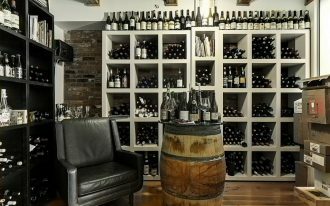 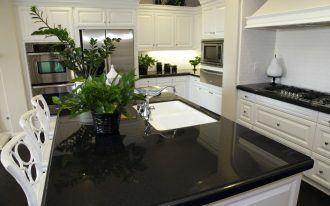 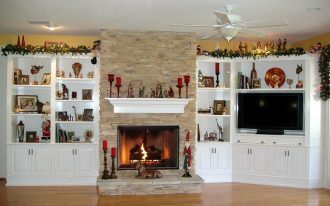 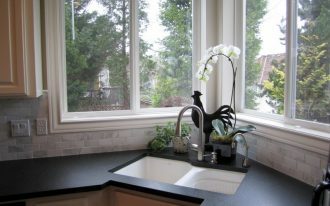 It’s safe for wall because it has shallow shelving system on top and deeper shelving system on bottom. 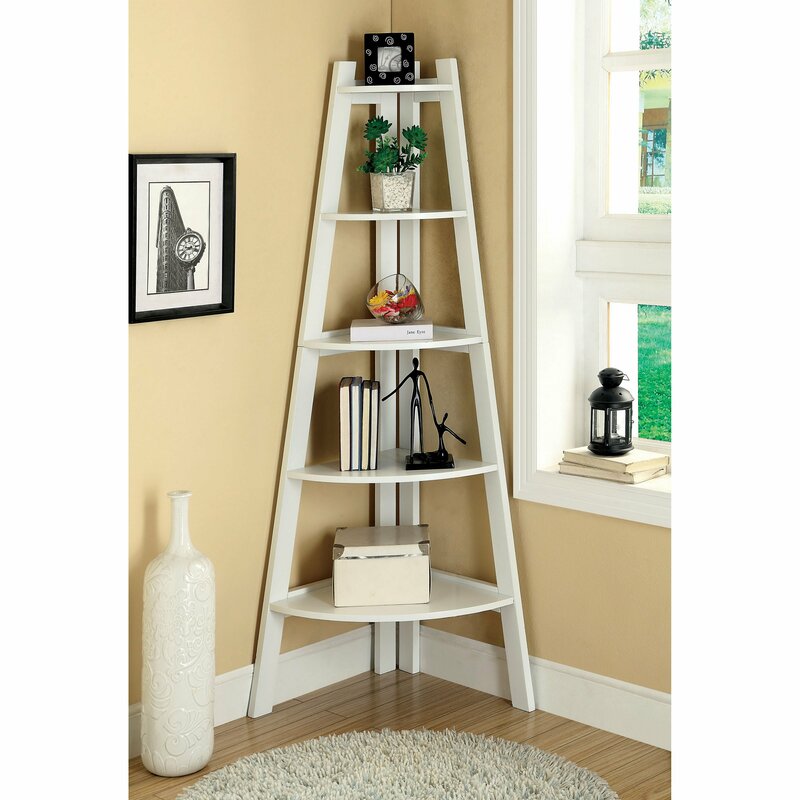 A leaning ladder bookcase can also be a smart solution to display small decorative items, such as small decorative vases/ pots with flowers, picture frames, and other collectibles. 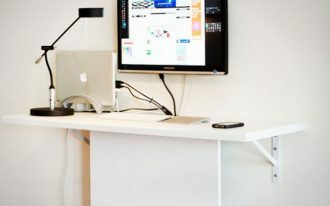 Few of them has small desk in the center for reading. 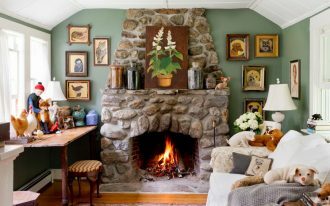 To facilitate the reader, a wooden reading chair is added. 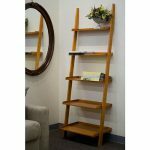 A wheel-chair is also perfect for completing this leaning ladder bookcase.